GET THE CROCHET FOX APPLIQUE AND GRANNY SQUARE PATTERN IN AN AD-FREE PDF DOWNLOAD HERE. OR SCROLL DOWN FOR THE FREE CROCHET PATTERN. WHAT DOES THE FOX SAY?! The most beloved fox is here! I know the fox is a favorite among many, so I didn’t want to disappoint! I tweaked this guy a couple of times to get him ‘just right’. If you follow me on instagram and watch my insta-stories (if not – you can follow me here! ), you may have seen him pop up a few times with different faces along with my uncertainty about the design. I felt all my other critter designs so far definitely have some character to them, and I just wasn’t getting heart eyes from him. BUT adding some safety eyes and eyebrows made a big difference and had me sold! But really, guys.. What does the fox say? They definitely don’t say ring-ding-ding or hatee-hatee-ho, but it does make for a catchy song and silly bedtime story. That’s right – a bedtime story. I purchased the book at a discounted warehouse store, and it’s been a favorite ever since. Of course, we don’t read it.. we sing it! And the pictures are totally wild and fun to look at. I even found it on Amazon for you guys. Trust me, your kids, grandkids, or any kids you know will love it if you sing it as obnoxious as we do before bedtime! Warning: This song WILL get imbedded into your brain, and you WILL catch yourself singing it randomly throughout the day. I can definitely see the song being annoying for just about anyone, but I’ve learned to embrace my silly and just go along with it for the sake of my son (and more importantly my sanity). Never heard of the song? Hop onto Youtube, start jammin’, let go, get silly, and pick up your crochet hook to start this square! GET THE AD-FREE PDF DOWNLOAD HERE. PIN IT TO YOUR PINTEREST BOARDS. Safety eyes on Amazon are definitely the cheapest I’ve found – I have gotten them at craft stores, but you only get 10 in a pack for about $3. You can get 100 pieces for about double that price. Definitely worth it! And you can use them for so many other projects especially amigurumi! Fasten off, leave tail for sewing onto square. Count back 6 spaces to the right from where you fastened off. Attach black yarn to where you attached the white yarn to start, SC around the ear. Fasten off, leave tail for sewing onto square. Repeat instructions for right ear, but start 4 spaces to the left of the right ear you just finished. There will be 3 spaces in between the ears. Count 13 spaces from where you joined and fastened off the head. Attach white yarn, 6 SC, fasten off and leave tail for sewing onto square. Using black yarn, chain 4, join to first chain. Sew onto head. 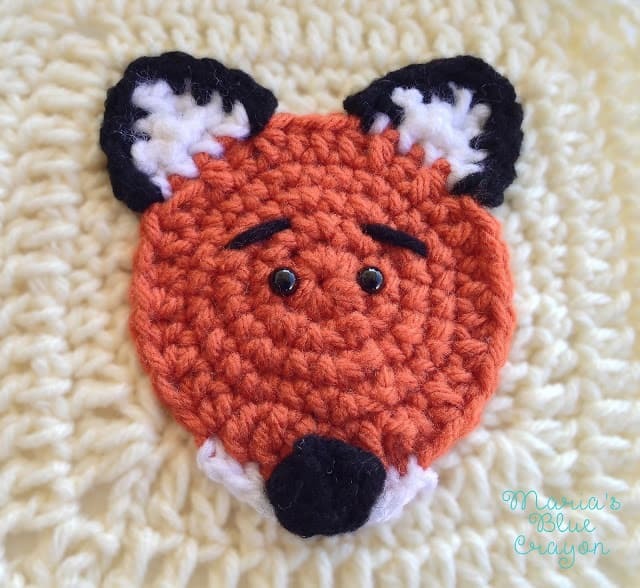 Attach safety eyes and sew on eyebrows with black yarn and tapestry needle above the eyes. You are welcome to share this pattern and to make this for sale, but please link back to me as the designer. Do not in any way copy or alter any part of my patterns and publish them as your own. For copyright information, please visit the link at the top of my page “Copyright/Disclosure”. I can't wait to get started on this! My niece just had a baby girl a week ago and the fox was the theme of her baby shower. We both crochet. I was looking for a regular sized afghan to make that my great-niece could keep forever. I showed my niece a few and we finally decided on one and the colors she wanted. About 10 minutes later I saw this and she was over the moon for it. So this will be her blanket from her great aunt that she can "keep forever" as her mom put it, lol! My mother who is 83 yrs young still has the very 1st afghan I made on my own back in 1981! Of all the ones I made over the years, hers is the only one that is still around! There is a PJ pillow that matches this out there also! Thanks for sharing this pattern!! A "magic ring" is also known as a "magic circle" in crochet. If you aren't familiar, there are many YouTube tutorials that show you how! I apologize for the frustration of advertisements. To keep this a free website where I provide free crochet patterns, I compensate with third-party ads. If you would like, there is an ad-free printable available to purchase – linked at the very top of this post. Hi, I'm Maria! I'm sharing with you my own free crochet patterns and tutorials, while fulfilling my love for learning and creating with my hands. I hope you find creativity and inspiration while you're here! Sign Up For Free Crochet Patterns + Crochet Cheat Sheet! 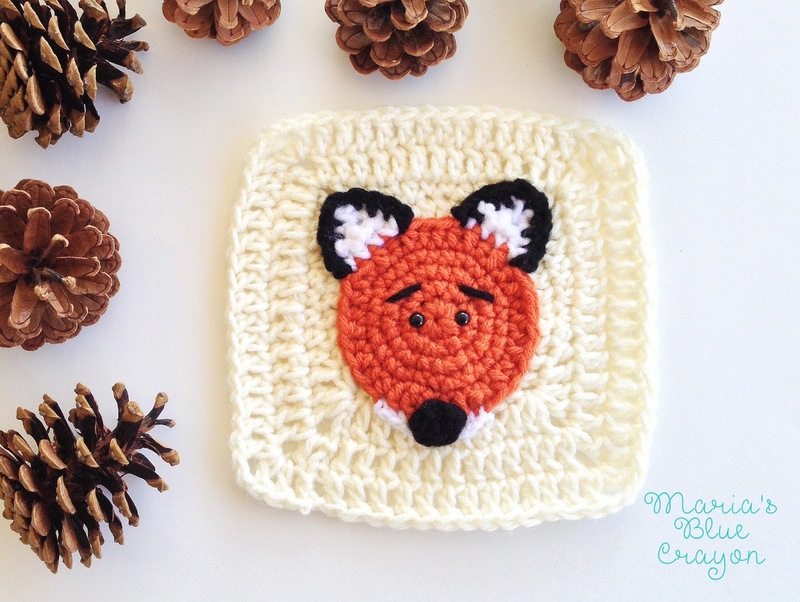 New free crochet patterns, coupon codes, PLUS a crochet cheat sheet right to your inbox!